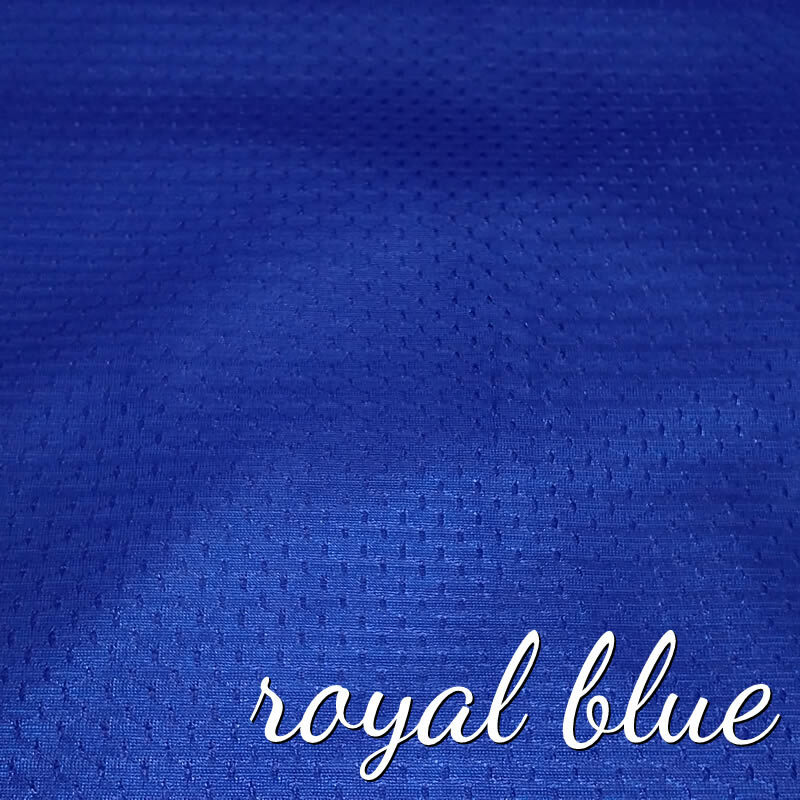 100% nylon, this quick-drying, lightweight fabric is ideal for showering with your baby, playing at the splash pad, and wading at the pool or beach. Of course, don't do anything in the water you wouldn't do with your baby in your arms -- this is not a flotation device and should never be used in deep water or for actual swimming. The fabric is thin, and although it has very little stretch, it's not as supportive as woven fabrics. I don't recommend using it as your only sling with a heavier baby for long periods of time, but it is wonderful for water use. 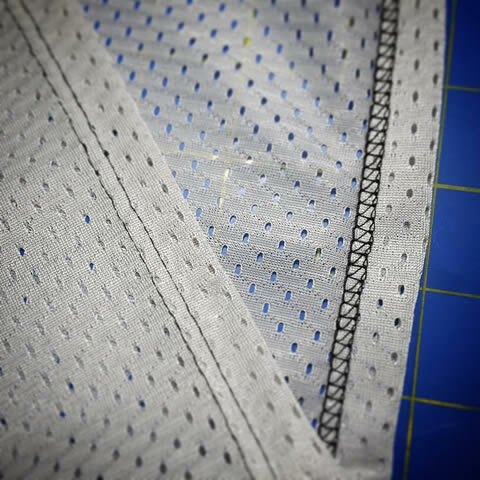 I sew my mesh slings with a coverstitched hem -- the type you'll find along the bottom edge of a t-shirt -- rather than simply serging the edges (like the inner seams of a t-shirt). 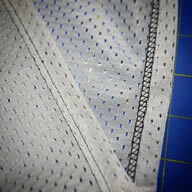 This takes a bit longer, but it's more comfortable, stable, and safer than a serged edge. When the sling is worn, the zigzagged part of the stitch is on the outside for yours and baby's comfort -- no sharp hems digging in. Machine wash cold, tumble dry medium or hang to dry. Rinse as soon as possible after using in chlorinated or salt water to keep the fabric in good shape. Generally your snug-fitting t-shirt size. Click the Size calculator tab above for a calculator, or see the sizing page for more in-depth information. 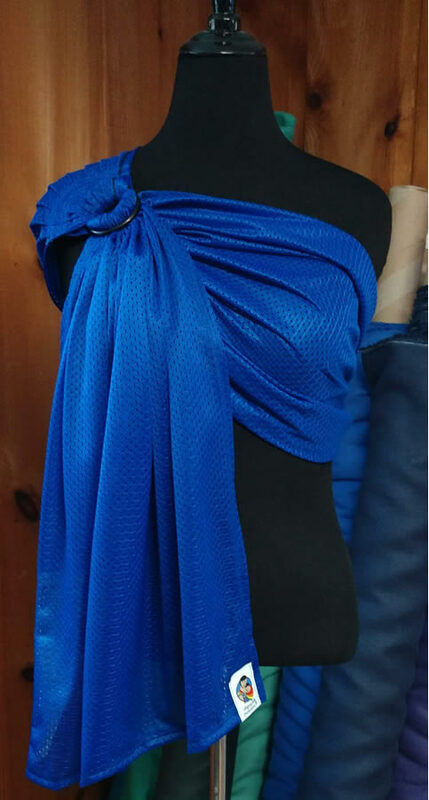 Is this sling for a new user? 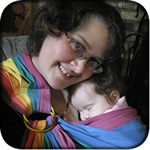 Select Yes if you or the recipient has not previously used a ring sling. If you or the recipient is familiar with using a ring sling, select No.